Recovery is a long process, sometimes. Here is a representation of someone in the midst of a feverish episode. 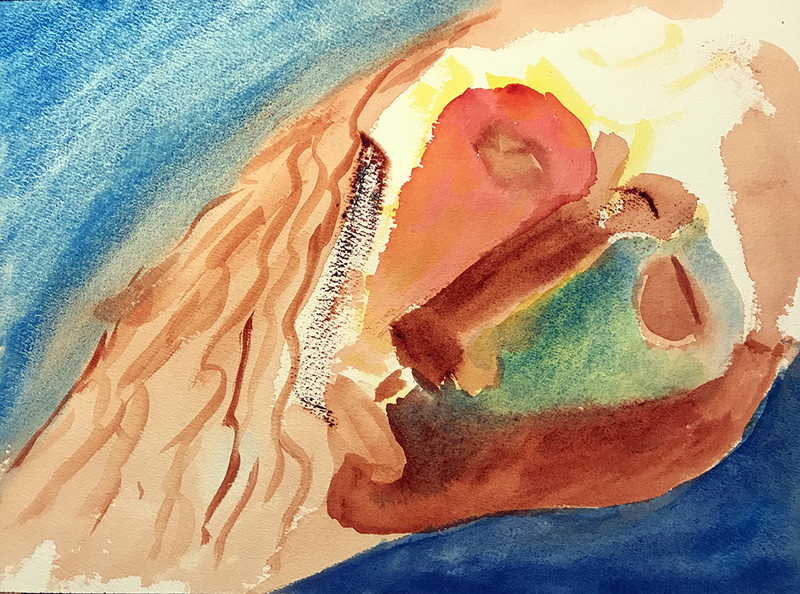 This entry was posted in Personal Stories and tagged abstract art, abstract expressionism, art, artistic process, creativity, illness, portrait, portraiture, sick person, visual arts, watercolor. Bookmark the permalink.